Are you struggling with sales because of your slow flow of quality leads in your business? Are you looking for free lead generation tools because of your limited budget? Then, this post is for you to pick out your best comprehensive set of online FREE software that meets your total needs of the fresh leads regularly. Lead generation is the installment of customer curiosity into products you offer in your business. Leads are generated for a purposive list building and nurturing their desire to be transformed into a satisfied customer. Lead marketing is the mainstream player of online marketing key techniques to make the business successful. It generates leads for effective email marketing campaign which brings the quick conversion to boost the sales. Without a continuous stream of enough fresh leads, you can’t expect your successful business either. 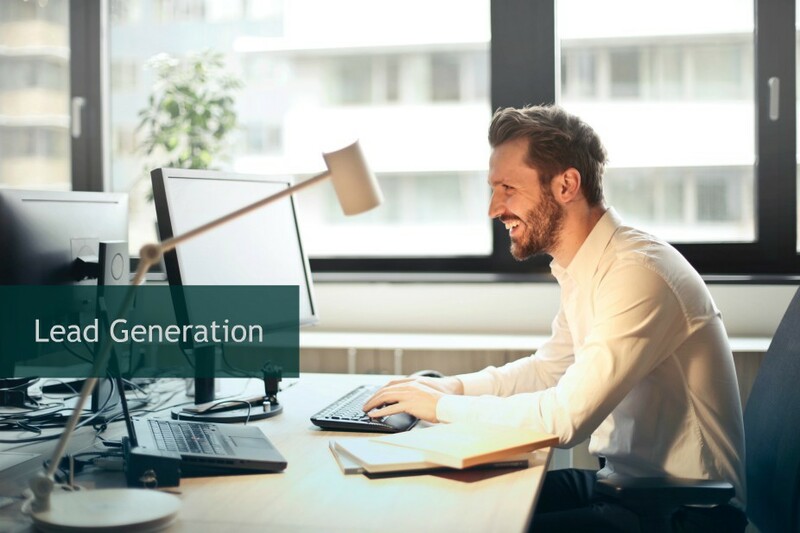 Your key efforts with an efficient set of free lead generation tools can enable your business to mitigate the difficulty of its surviving and lets your business thriving. You might keen to go through an overview of the free lead generation software tools and sales prospecting tools so that you can find prospect emails further rapidly. 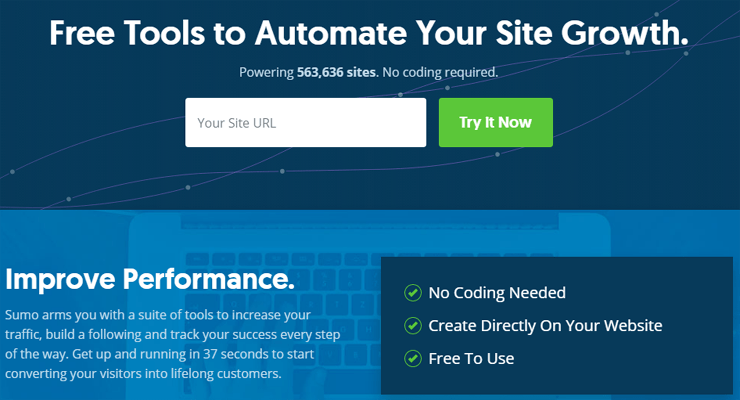 Here the 18 free tools are featured for you the starters to make up your lead solutions. You might consider Sumo one of the best free lead generation tools to automate your site growth. Sumo is a state-of-the-art free lead generation tools that can be used to achieve quality leads on your website. There is no need any coding knowledge to install the lead marketing tools in your website. The Sumo tools are productive in a quality lead generation that increases your traffic, creates the following list and tracks your traffic data in every step. It leverages your business to motivate the visitors into permanent customer. They invite you to join their free basic free plan which includes one site, freedom of using all the apps, A/B testing and a full selection of templates. Their free lead generation software plan offers a few features that allow you limited website visit per month. Rapportive is a forever free add-on offered by LinkedIn for Firefox and Chrome browser that works with Gmail. They focus the core feature of the free services that LinkedIn profiles will be shown a just right side of your Gmail inbox while you are with this add-on. The tool will enable to show the contacts “who they are, where are they, what do they do and who do you both know” while you are connected on LinkedIn. It leverages you to connect with people and find information using Gmail. It is an opportunity to generate contacts with your shared connection. You have the scope to gather email addresses on LinkedIn using Skrapp Chrome extension. It will collect the email addresses including name, job title, company and location on LinkedIn. 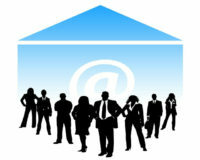 The algorithms of the Skrapp search the network through corporate email patterns seeking the email address you require. The Chrome extension of Skrapp will support you saving the leads from your LinkedIn major places such as searches, groups and visited profiles. It will leverage you to find the email addresses while you process and recover your leads in CSV files. In it’s web dashboard, it provides storage and management with synchronizing the lead directory and other services. In their free plan of Skrapp services for lead marketing, they allow 200 emails per month. According to the tool ExpertFile, they provide you a way to manage and promote your expert content to increase your market visibility, website engagement, and customer inquiries. In fact, the tool leverages you to connect with the experts using search tool for thousands of topics to find from the experts from leading organization. They invite you to promote your experts tapping into the power of experts that increases visibility, engagement, and valuable inquiries. The provider claims expert search tool is designed for all audiences in need of experts. Their free plan allows only finding experts, access thousands of topics, unlimited inquiries and all of this nothing require your registration. In my opinion, though it’s difficult to acquire the leads using their free plan tool, but you might gather targeted traffic following the experts and using their influence over the content and social media presence. ProfileVisitor is an extension based on Chrome for LinkedIn. It helps to grow your networks and generating leads from LinkedIn. It visits profiles behalf of you automatically. Notification will be delivered to you by LinkedIn on your visiting profiles. Your proxy visiting will generate curiosity to know you and your company. It will generate LinkedIn profile views and connection in increasing rate. It creates the chances for gathering leads and sales. Getprospect is a LinkedIn lead generation tool associated with email finder. It ultimately finds out the corporate emails while you input your potential clients from your LinkedIn platform. Using this Linkedin free lead generation software tools, you’ll get super way to create a lead list, reminder and calendar, searching the imported info for filtering the list by keywords and exporting selected sales lead to CSV file for using in email lead marketing services. Getprospect offers Basic Free Plan on their term “Try first; upgrade later –try for free”. It provides 50 emails per month. Revamp CRM offers an outstanding free plan to the small businesses so that they can boost their revenue. It provides fabulous CRM platform for small business, online storage, sales, marketing, segmentation management and analytics as well. They offer one of the best packages to enjoy 30 days free trial in all plans for using all features supported. If you do not upgrade then they automatically put you in their free plan forever. In that purpose, no need credit card. When you finish you sign up, you could instantly get access to any features for 30 days. In the free lead generation software plan, they allow 2 users for contact management for small teams. It was honored and awarded in 2016 for its excellence in the best free trial, expert’s choice and great UX. In my opinion, it’s really a game-changing offer every starter can consider to take the chance of thriving business. Time is money, lead is honey! PRhunters offers free package. It invites you to join in the free package selecting your relevant topics and setting your relevant keyword alert. Then you’ll get receiving a daily summary of relevant PR opportunities. PRhunters could save the valuable hours of your time searching for PR Leads aimlessly. They will deliver you PR leads in real-time. You might take this opportunity for your business or your any of your clients. It helps to generate social leads using the major media like LinkedIn, Facebook, and Twitter. While you open the site discover.ly, you’ll find a tab to get Chrome browser extension. If you add the extension, the logo will appear on the Chrome browser. Then you’ll have to add the major social media profiles (such as Facebook, Twitter, and LinkedIn) one by one. Finally, finishing your installment, you will find the same logo shows the social status will appear in front of the contact any of the social media you browse. The tool will direct you step by step and reach out you in the deeper contact information of your followers while you browse accordingly. SlideShare is a densely potential passive lead generation zone for prospecting future customers using engaging slides. You have a chance to share the slide presentation in a wide range of audience in terms of generating leads. Create your compelling slideshows with useful stories that attract the viewers. This type of action will enable your effort to make the audience to contact you using your CTA. FindThat is a Search Tools using web engine and Chrome Extension for finding the email address. 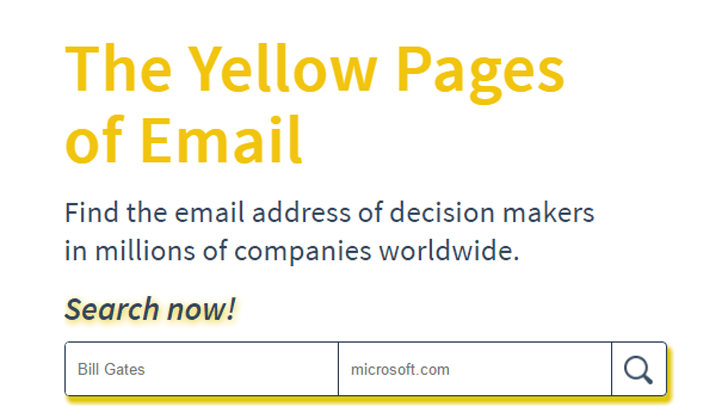 It acquires email addresses from the yellow pages of decision makers in millions of companies worldwide. The tool leverage you to find exactly what you’re looking for. It provides maximum data accuracy. They avoid guess mail and public data. They are confident that their engines are constantly fed new sources and automatically remove false records. FindThat offers a free plan to the startups allowing 50 search Credits and 100 verifying credits every month whereas each email is one credit. You might use Chrome Extension as a lead marketing tool to find leads instantly right from your browser on social platforms or company website. It helps to auto populate the search results and save prospects to lists. It reveals email addresses with one click. The tool is a great lead creation tool that drives traffic, captures emails and enables you to connect them. Using Hello Bar you can double your subscriber list within a short time. It helps you improve the effectiveness of your website around the world. While you create the HelloBar, it will enable your website visitors to get the messages in right time. HelloBar easily helps to send subscriber data to your email lists in Aweber, MailChimp and Campaign Monitor. The tool helps to increase your social shares, likes, pins, and tweets. It increases social media followers. And collaborates promoting with Buffer, Facebook, Google+, LinkedIn, Pinterest and Twitter. It also provides scope to A/B test of your messages and reveals the messages that work best for your website visitors. The tool generates quality leads that convert more visitors into customers. Addthis is a top notch easy plugin to implement on WordPress sites and permits to include sharing buttons to all pages in a quick way. It is simple to customize the design of the features, and you’ll be also able to adjust the title, description, and image for usage in Addthis. You will be able to make your content shareable which is just one click away. Whether it is mobile of the tab, all the devices will be able to find the stuff using this well-designed tool. It includes the features of the following button; a plugin to WordPress, related posts, Q&A, List building and link promotion. It helps in list building connecting to the biggest email lead marketing platforms to gather addresses directly through your business site. You could promote the appropriate page at the right time with the AddThis smart link promotion tools such as popup, slider, and bar. They proudly claim, the tools they offer is best free for increasing shares, followers, subscriptions, conversions, and more with easy-to-use website marketing tools. And the tool is trusted by 15 million sites and invites you to take part at least at their AddThis Basic plan which is quite free. In their Free Basic plan, you’ll get to enjoy the basic website tools, mobile-friendly platform, AB Test capabilities, tool configuration, visitor type & source targeting, two audiences targeting opportunity and free academic study online. Bitrix24 Cloud is a powerful free lead generation tools within CRM and project management platform. The free plan of Bitrix24 Cloud provides 5GB online storage, enterprise social network, collaborate by email, instant messaging and group chat, email connectors, lead and contact management, email marketing, sales automation, sales funnel, marketing automation, integrated email account, live chat (unlimited chat session), and many more. Why should you use Bitrix24 Cloud? It’s quite free! No credit card required! You can set up your Social profiles with this tool in a few minutes! It not only generates leads, you can create and manage unlimited projects as well. It leverages to share files and discuss ideas with your parties within this tool. They assure you a simple registration process, transparent and free of cost. You have a chance to upgrade the lead generation software tools anytime as your company grows. This is in fact, not a direct lead generation tool, rather lead developing amazing software like an analytics. The tool eliminates guess works and lets you understand what users really want, care and conduct on your site revealing their clicks, taps and scrolling behavior. Hotjar shows where visitors are dropping off in the conversion funnel as well as in the lead generating forms. It provides feedback to understand the behavior of the leads and so more. They offer the BASIC package as a forever free plan for personal projects and sites with low traffic. It is a limited plan for students as well as enthusiasts. This free lead generation online software collects data from 2,000 page views every day provides limited reports for unlimited users. They allow data storage for 3 months. Hunter is a powerful email finder lead generator and email verifier popular tool. It works through a Chrome extension you’ll have to add on your browser. Hunter offers in forever free plan for 150 free search requests per month using the free Chrome extension tool or Google Add-on. Every search request is counted by every 10 email addresses get returned from each page for a domain search. (1) In domain search, it presents the email address with the due domain around the web. (2) In email finder, it finds out the email using the first name, last name and domain name. (3) In email verification, it feedbacks the deliverability of the particular email address. It is one of the considerable lead generation tools provide authentic leverage to the new businesses. Every starter who is with a thin budget can take the chance of this simple free plan to increase deliverable leads using lead marketing. HubSpot Marketing encourages you free to start their plan for your affordable growth. The free plan of HubSpot Marketing allows you to drive your business capturing, tracking and converting leads for quite free of cost. It’s magnificent fee lead generation online software that promotes your business. Whether your business is medium or small they are ready to make inbound marketing accessible to all parties you target. HubSpot Marketing is an ALL-IN-ONE INBOUND MARKETING SOFTWARE helps to increase traffic, gather leads, convert leads, and establish your ROI. If you’d like to triple your organic traffic and leads you might start this one of the best free lead generation tools. Free is good, but paid is great. Each of the free lead generation tools is countable in terms of building your growth foundation while you invest limited budget now. In the free offers, nothing to lose – as something is better – picks out the best plans so that you wouldn’t have to miss out a single prospect. As your targeted volume of prospects goes with your investment quality, then it is better to acquire leads from the free lead marketing offers as much as possible. After using the free plans, while you get a big growth that enables you to invest a bit, you might pick out the best ones for your comfort business zone. Then, alternatively, you might go with the Retresponse as well, suggest as a powerful lead generation tool and high conversion generator. Is there anyone I’m missing? Let your business goes thriving.